National Cannabis Festival in partnership with The Cross Family, Metropolitan Wellness Center and National Holistic Healing Center are proud to announce Flex Mathews (Dathan Harbor) as the winner of the 2019 Kevin K. Cross Community Change Makers Award honoring an unsung hero in the community who goes above and beyond to help/support others. Flex has been a central, much-beloved figure in D.C.’s hip-hop scene for over a decade, issuing his first single, “Handsome Grandson,” with Damu The Fudgemunk in 2005 and performing in the DMV area and around the country with Congo Sanchez. 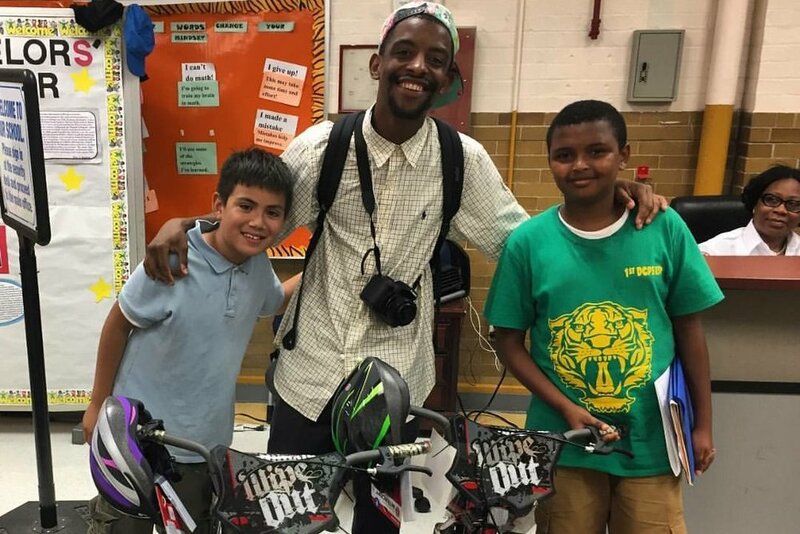 In addition to staying busy as a performer and recording artist, Mathews works at the non-profit Words Beats & Life, where he teaches music to youth after school. In addition to his work in the community and talent as a recording artist and producer, Flex Mathews is one of the best people you’ll ever meet. He has a vibrant smile and personality to match - but it's his big heart that makes him stand out. While Kevin cannot be with us to present this award we know that he would wholeheartedly approve of this selection. Kevin loved music and he was an incredibly talented artist. He'll be smiling down on us on April 20th as the National Cannabis Festival team, Metropolitan Wellness Center and National Holistic Healing Center take the stage with the Cross Family to present Flex with the 2nd Annual Community Change Makers Award. Congratulations Flex! We know that you will honor Kevin's legacy by continuing to combine good music and good deeds. Learn more about Flex’s music here.